For me Autumn proper starts when the calendar hits October. Leaves are falling - red, russet, saffron and gold, the nights are drawing in earlier, the air has a woody, smoky 'snap' to it and my thoughts turn to comforting, warm, sustaining foods and for rich amber, spice and earthy smells to envelop me. 'Tis also the month for the mystery and magic of Hallowe'en or All Hallows Eve. This year I am really excited to be part of an event organised by Midnight Apothecary, to be held in the atmospheric Brunel Museum. 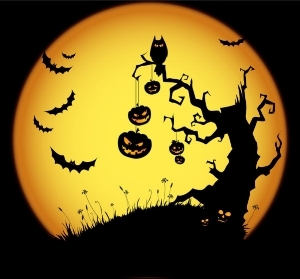 It shall be a feast for the senses, with alcoholic potions, gourmet bites and me providing autumnal aromas and spooky scents for kids and adults alike. And now back to my cauldron, fragrant alchemy waits for no-one. I am concocting some devilishly ghoulish things ... liquorice bat droppings anyone! ?